Here is an example of no job being too small. 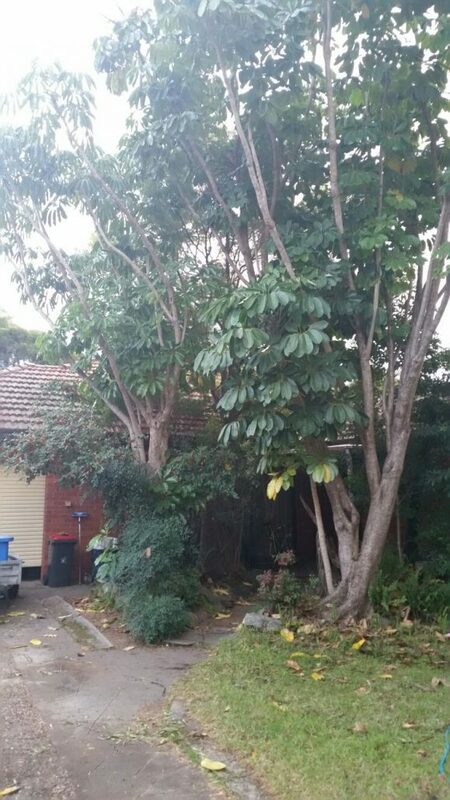 We came out to this property in Parramatta to remove the umbrella tree. It wasn’t a big job, and since we were already doing some tree lopping in the area we could keep the costs down for the owner (since they didn’t have to pay for the travel time to get the chipper and truck out there). If you can organise multiple jobs in the same area (by talking to your neighbours) we can give massive discounts.